Congratulations to Mary Akrami who was chosen as one of BBC's inspirational and influential women for 2016. 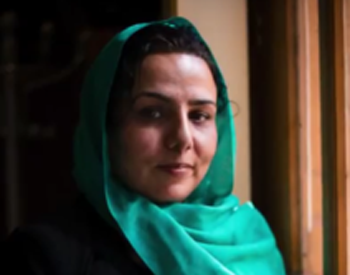 Mary is the founder and Executive Director of Afghan Women Skills Development Center (AWSDC) in Kabul. In 2003 the organization established the first known shelter for women at risk in Afghanistan. This shelter is a space where women and young girls, who are victims and survivors of violence, can access not only physical protection, but health care, education, legal aid, and rehabilitation services as well. In 2016, Mary and AWSDC opened a restaurant in Kabul that is fully run by women who have gone through the AWSDC shelter program. Under Mary’s leadership, AWSDC has become a recognized and well respected capacity building organization throughout the region. They have been selected multiple times to train other organizations in peace building and conflict resolution techniques, as well as in women’s engagement in local political arenas and community based endeavors. Mary is currently on the Board of Directors for Afghan Women’s Network (AWN). AWN is a comprised of 125 women’s organizations in Afghanistan that work together to strengthen cooperation and integration of women into Afghan society. Mary attended ISHR's Human Rights Advocates Program in 2009. Read more about Mary Akrami on our Advocates page.